(Vancouver, BC) – Stephanie Yuen, Chair of the Judging Panel of the Edgewater Casino Chinese Restaurant Awards 2010 will appear at Food Stage at Vancouver Home & Interior Design Show at BC Place Stadium on October 16, Friday to feature two 2009 Critics’ Choice Signature Dish Awards winners, as chosen by the Judging Panel for Vancouver’s first Chinese Restaurant Awards. 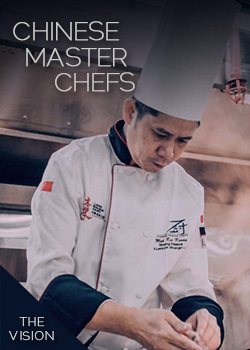 Chef Zhang of Lin Chinese Cuisine and Chef Leung of Ken’s Chinese Restaurant will take the stage starting at 5pm. Each Chef will prepare two dishes. Chinese Restaurant Awards 2010 consists of two parts: The Critic’s Choice ‘Signature Dish’ Awards and HSBC Diner’s Choice Awards. 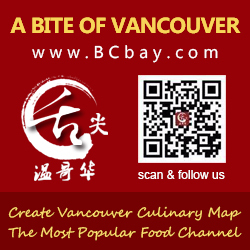 From now to November 15, the public is asked to vote for their favourite Chinese restaurants online at www.votedinerschoice.com . The winners of Critics’ Choice Signature Dish Awards of the Edgewater Casino Chinese Restaurant Awards 2010 will be announced on January 27, 2010. Watch for ‘Signature Dish Magazine’, an authoritative bilingual dining guide for CRA 2010 that will be released on January 27, 2010 and available online at www.ChineseRestaurantAwards.com . Media are welcome to contact CRA for further information and digital picture of these two Food Stage presentations. Interviews can be arranged in advance.